Author European JoePosted on May 11, 2018 May 13, 2018 Categories G.I. Joe, TCG, UncategorizedTags #66, 1987, fast draw, gijoe, impel trading cardsLeave a comment on Is the typewriter mightier than the missile launcher? just another update for now, I will get back to the Impel Trading Cards soon. If you really can’t wait, look through the history of the blog and check out the posts for cards #1 to #64. The new stairs to the attic is the most important feature still to come for me. Once this is placed, I can start creating rooms on the attic and get my Man-Attic back. This also means that most of my collection will remain boxed for the better part of this year, maybe even until next year. Check back here for more updates soon. 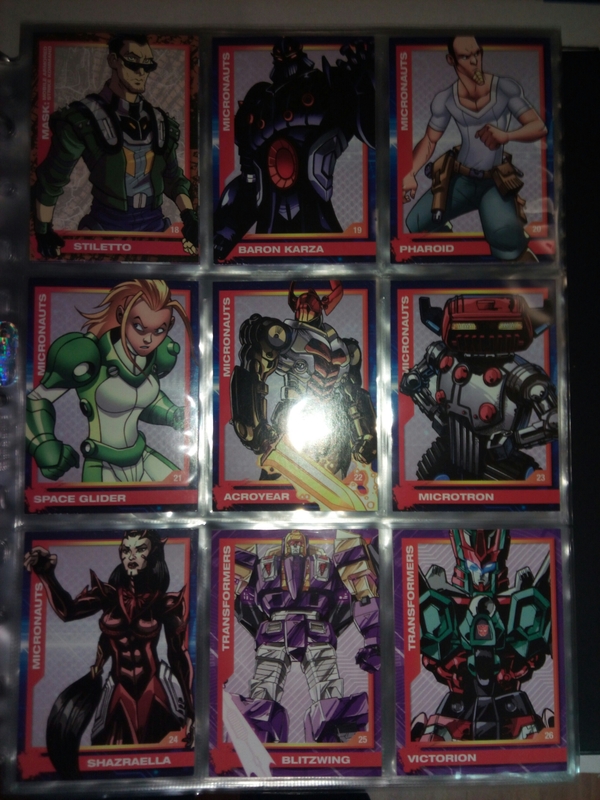 As I said above, I will however start making some time to get back on track with the review of the Impel Trading Cards. The next post should arrive this month, maybe even next week if all goes as planned. I finally found the time to go to my local Comic Book Shop for the first time this year! Needless to say that I’ve been running behind with my Joe comics. Immediately got through ARAH issues 245 – 250. No spoilers from me, but believe me, it’s a great story and I can’t wait for #251. Thanks for reading my blog and following me on Instagram and Twitter. Posts have been lacking, but trust me, I’m getting my act back together and will be more active again. Thanks for the support! A while back I bought a Humble Bundle with IDW comics. 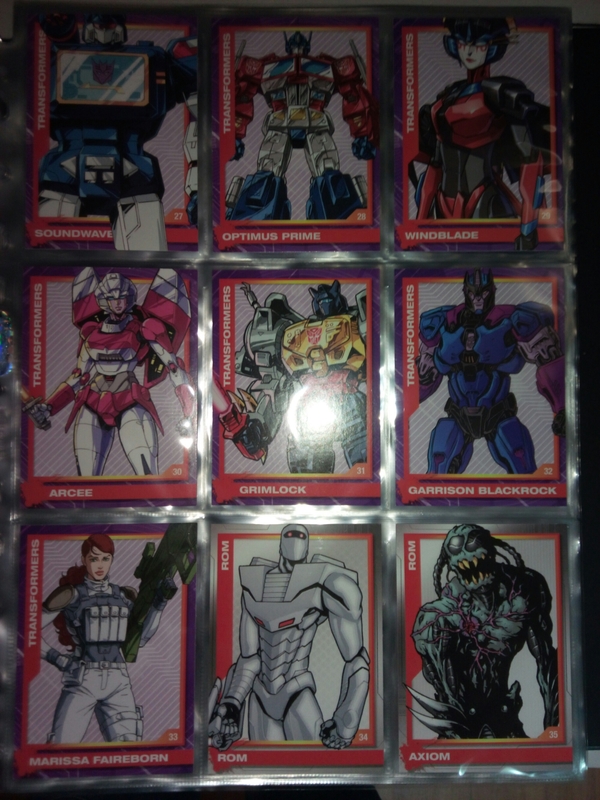 They contained a lot of Transformers comics, but also some comics to introduce the different factions in the Revolution universe. 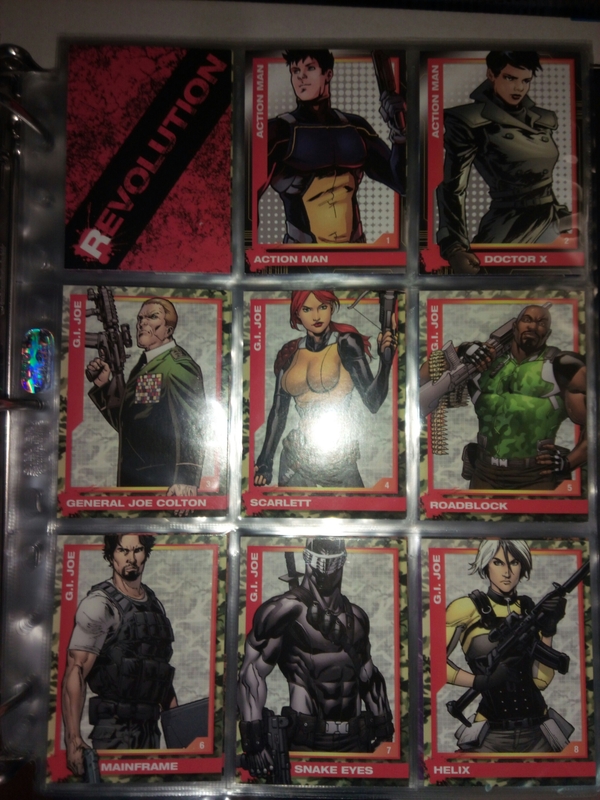 Thr comics were great, but there was also an extra incentive, a set of Revolution Trading Cards. They finally arrived this week and I must say that the artwork is really nice. 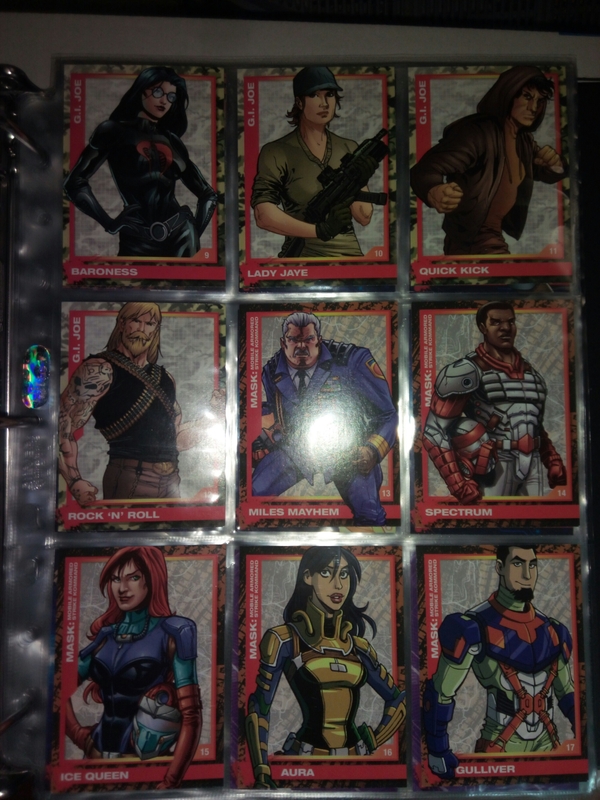 The characters each get some sort of filecard on the back reminiscent of the Joe filecards. I’ll post some shots of the entire series below. I will probably discuss them in more detail in a later post. Okay, bit a drastic change. As of today, I will sell of my Joe collection and start collecting My Little Pony’s. Have a Pony Weekend and Happy Collecting! I will still put posts online about the Impel Trading Cards (and in the future, about other trading cards – if all goes well), but I wanted to write something about the events of this week here in Belgium. We’re all still coming to grips after the terror attacks in Brussels from Tuesday and maybe it’s my inner child and Joe fan that is talking here, but we really need a Joe team busting up the IS. I believe that no God or country is worth killing or dying for. We only have one world and we are all humans. I could start quoting John Lennon, but there is a Flemish singer-songwriter who wrote something in the line of Imagine and I’ll just let his words speak for me (Translated from Dutch so the rhyme and rhythm is off). I don’t care if you pray to God, Allah, Vishnu, the Flying Spaghetti Monster or you just believe in yourself. There are universal values that are found in any religion. We should respect these and – as humans – be bigger than religion or country.